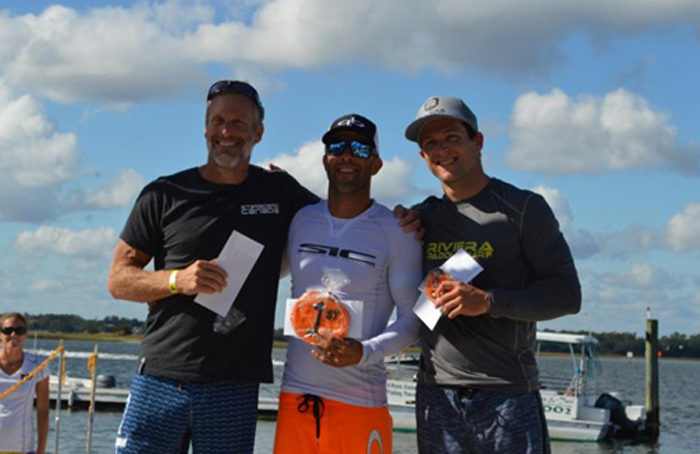 Canadians Tommy Buday, Larry Cain, and Gab Beauchesne-Sevigny swept the men's competition in both the North Carolina Surf to Sound Challenge and Blockade Runner Flatwater Championship in Wrightsville Beach. April Zilg and Stephanie Shideler of the USA, and Tracey Finlay of Canada won the top three spots in the women's division. And, what a difference a day made for standup paddleboard race conditions. "Yesterday I was wearing my bikini, today I'm wearing four layers," said women's champion April Zilg, of Wilmington, NC. Saturday's race conditions featured temperatures in the low 80s, with low wind, lots of sunshine, and relatively flat surf. The only weather obstacle was morning fog with a minor race delay for burn-off. Sunday ushered in a cloudy sky, temperatures in the 50s, morning winds at 15-20 mph, choppy flatwater conditions, and a wind-chill factor in the upper 40s. "It was a blast racing here in North Carolina," said men's champion Tommy Buday. "We enjoy the diversity of the sport with the waves, the wind, and the rough conditions. I come from Montreal. 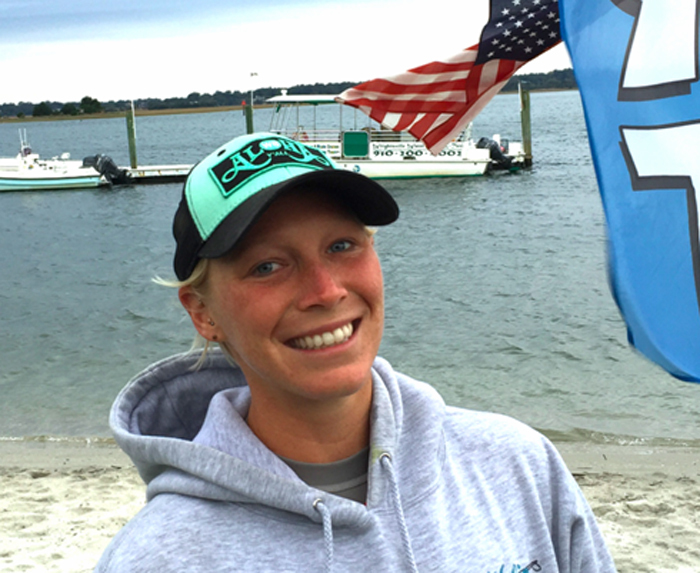 We don't have oceans, so to come here and participate in both ocean and flatwater racing is exciting." Buday, Cain, and Beauchesne-Sevigny are Olympic flatwater athletes. April Zilg is ranked 13th in women's World Rankings by SupRacer. Weekend races for the 5th Annual North Carolina Surf to Sound Challenge covered 18-miles, including the elite 6.5-mile Surf to Sound Challenge, the 4-mile Harbor Island Outer Loop, the 7-mile Blockade Runner Flatwater Championship, and a Kids' Race. All races started and ended at the host hotel, Blockade Runner Beach Resort on November 7-8, 2015. 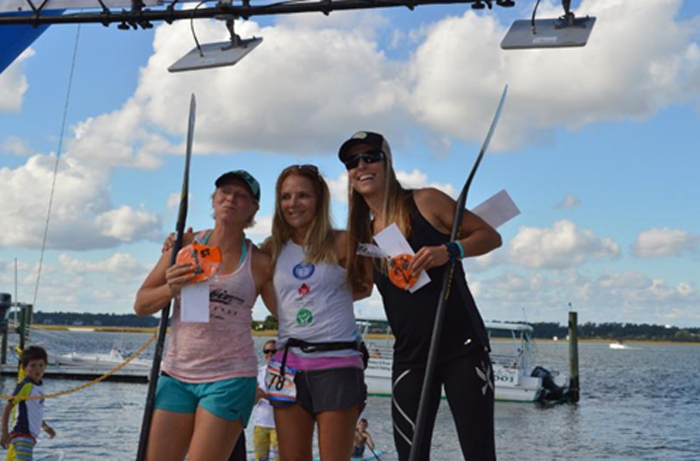 The 5th Annual North Carolina Surf to Sound Challenge was presented by the Wrightsville Beach Paddle Club, organizers of the prestigious Carolina Cup, and sanctioned by the World Paddle Association (WPA).